SAWYER COUNTY -- The Sawyer County Sheriff’s Office joins organizations across the state to recognize November 30th as Methamphetamine Awareness Day. Governor Scott Walker recently issued a proclamation in support of Methamphetamine Awareness Day, aimed at educating Wisconsinites about the dangers and effects of methamphetamine use. 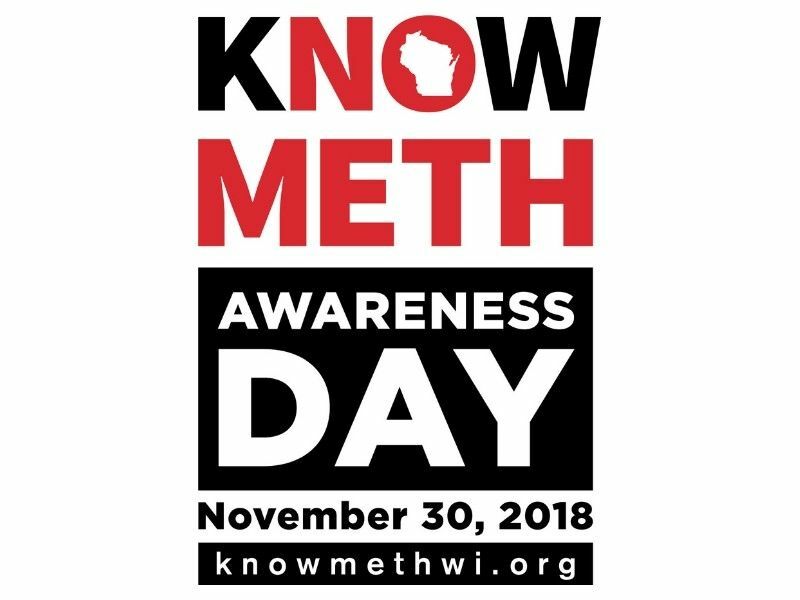 Marshfield Clinic Health System, Northwoods Coalition, and Alliance for Wisconsin Youth in partnership with the Wisconsin Department of Justice and the Wisconsin Department of Health Services encourage organizations and individuals to take action on KNOW METH AWARENESS DAY. This day is an opportunity for everyone in Wisconsin to learn more about the dangers of methamphetamine use and addiction, and what actions can be taken to prevent it. Meth is becoming more prevalent in Wisconsin and KNOW METH AWARENESS DAY allows the community to work together to help fight this growing epidemic. From 2011 to 2016, meth availability in Wisconsin increased 250% according to the 2016 Wisconsin Methamphetamine Study. “Our goal is to encourage people to talk to their children and family members about the risks and dangers of meth use and to get involved; by supporting the Sawyer County Sheriff’s Office, the City of Hayward Police Department, the LCO Tribal Police Department, the Wisconsin DOJ/Division of Criminal Investigation and the Sawyer County District Attorney’s Office in taking action to prevent meth use,” stated Sheriff Douglas Mrotek. Visit www.knowmethwi.org to learn more.